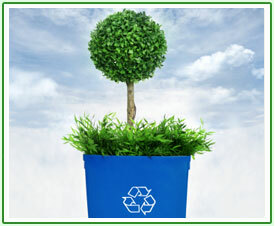 With business and Industry growing every year the amount of waste we produce grows with it. Business's and householders just in the UK alone throw out over one million tonnes of electronic equipment away each year and as business and the population grows this will increase. Almost all business use printers and with printers come toner cartridges. Toner cartridges are made of a non-biodegradable plastic and when put into landfill can take over 1000 years to decompose. Why landfill and harm our environment when you can recycle these FREE of charge? WEEE directive is aimed to encourage the recycling and reuse of your waste to minimise the harmful effect these products have on the environment. It is all our responsibility to recycle and reuse where ever possible to enable a safer environment for generations to come. and/or disused office and IT equipment, please click here to Book A Collection. Alternatively you can contact us on 01908 635330 and we will be happy to assist you.